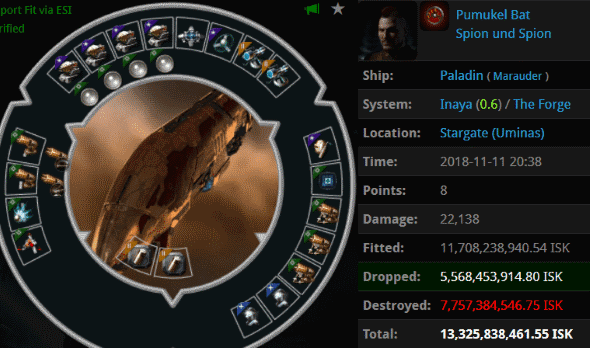 Pumukel Bat is a living, breathing example of the failure of isk-tanking. Clothed in decadent purple, his fancy modules could not save him from Agents Ariku Orenuk, Barakod, Narl' Amhar, Votre Dieu, Anya Kovalsky, kali laska, and Rante Charante. 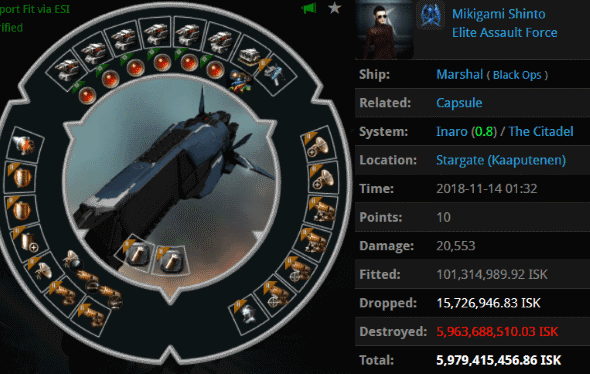 Morale and fighting spirit beat isk every time. 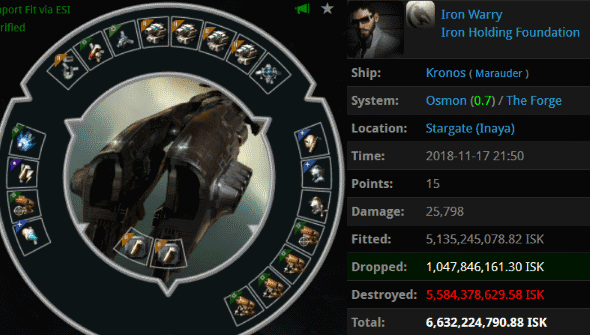 On any Sunday when Pumukel Bat isn't losing a 13 billion isk Paladin, Iron Warry's own shockingly expensive Marauder loss would top the charts. 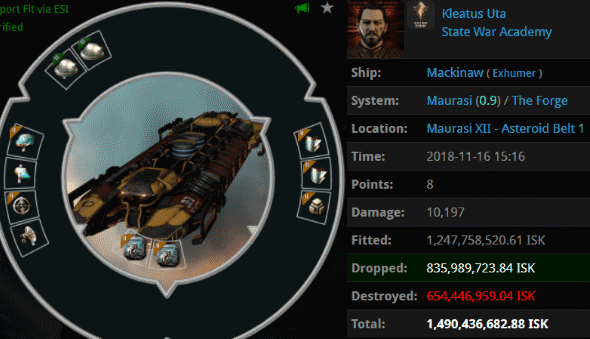 He managed to throw away 6.6 billion isk when he failed to pass a Code inspection administered by Agents Votre Dieu, Bastian Mart, Narl' Amhar, Vollond, and Alarik Maleus. By all accounts, the Marshal is a deadly ship--though maybe not when Mikigami Shinto is at the helm (or, more likely, when she's AFH). Mikigami's questionable fitting choices (including a fireworks launcher) didn't help matters. She showed the poor judgment typical of a Code-violating carebear, so she was easily defeated in battle by Agents Votre Dieu, Narl' Amhar, Rungerd, BillNye TheGankerGuy, Knackered Old Goat, and Bob Painter. Kleatus Uta's Mackinaw sported one of the more eclectic fits we've seen recently. Eclecticism can sometimes be accompanied by decadence, unfortunately. Kleatus and his ORE Strip Miners had to go. Agents Ilithyia Borgia, Mal Warre, and Fury al-Shabazz took out the trash. "But James 315," the carebear objects, "You said these would all be combat ships!" Ahem. Mackinaws have a healthy drone bay at their disposal--more than they deserve, honestly. 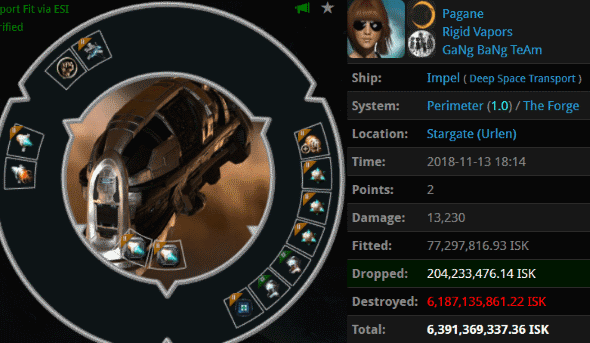 Pagane took her Impel into the Perimeter system, where the ship and its 6 billion isk cargo were intercepted by Agents Throatslashar, Gandor Ironfist, Spazmongloid, and iZaEaRl. 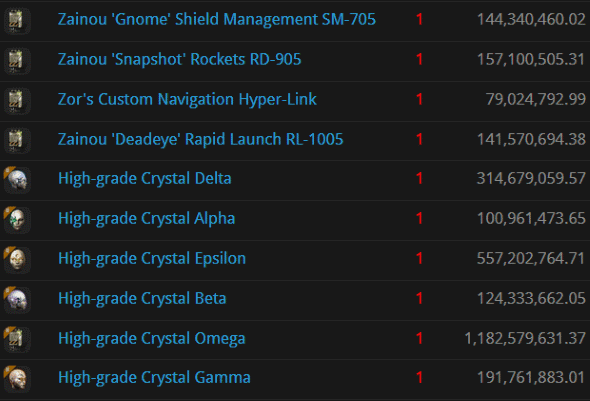 I don't think 1.0 security systems are what CCP had in mind when they designed "Deep Space Transports". "But James 315," screeches the unruly carebear, "Surely this wasn't a combat ship!" There's more than one way to lose a combat ship. And the carebears are intimately familiar with all of them. ZumZoom of the aptly named Lazy Space Rangers corp tried to resurrect the old practice of autopiloting through highsec in a shuttle. Agent Cautiously Pessimistic was standing guard at the time, and she managed to pop ZumZoom's shuttle and pod. 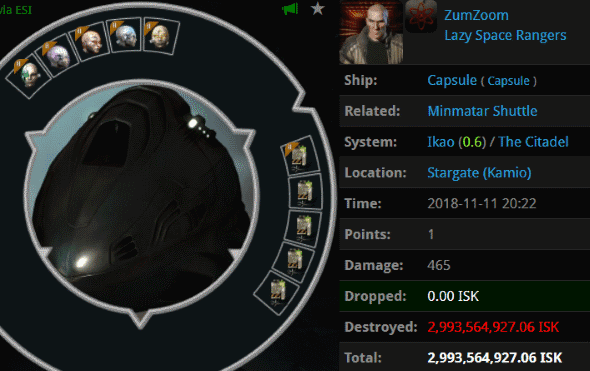 Down went nearly 3 billion isk in implants. Hush, carebear. Every pod pilot in EVE is a PvP'er, whether he acts like it or not, and whether he takes full advantage of his opportunities or not. Thus, every Capsule is, in and of itself, a combat vessel. And exactly what were the overall economic impact of these "kills of the week" to the overall EO economy? Practically nill, just going to show the still almost total irrelevancy of Jamey his CHODE. slaves. Sounds relevant to make you do that. Shardani was a minerbumping addict as well. Could a CODE agent be kind enough to explain how the 2 Marauders were taken down? The indicated HPs on the KMs seem extremely low, almost as if the ship were destroyed before the pilot could activate any system. Does this mean that both of them were AP?!! What an embarrassing week for the carebears.